Divorces can be very brutal. End of a relationship can land you in mental trauma. Divorces are way much more painful and heartbreaking. A divorce has negative impact on health. Yes, love dies before you even realize, love vanishes into thin air. We all know how tough break ups are, what mental trauma two people go through when a relationship fails and falls apart. No matter how long you have spent time with each other, it will always hurt when you would have to say the final ‘goodbye’. Nothing can be painful than a break up. Now, couples that are in love often fail to sail through the thick and thin of a relationship and they separate. Yes, break ups will always be heart wrenching but you know what is more painful than a breakup? Drifting apart after you have tied the knot is much more painful. Yes, divorces are way much more painful and heartbreaking. Imagine leaving a person who you thought would be spending the rest of his/her life with you. When you share your room with someone, when you live with someone under the same roof, when you have a habit of seeing someone everyday and suddenly it happens, the divorce. If a break up can damage so much of your personality, what a divorce would do, just imagine. Yes, impact of divorce is much more powerful, far more damaging. 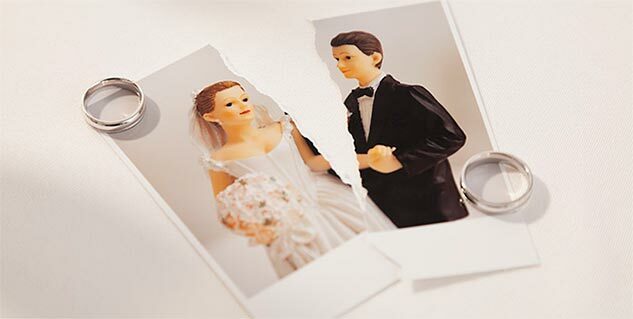 Now, the common perception is that divorce only damages your social stature, personal life, family life. In reality, there are negative impacts of divorce that can adversely affect your health. Yes, more than emotional, a divorce has negative impact on health. There are a number of health issues one can come cross when going through a divorce. Here is a list of the health effects of divorce, take a look. People with a good sleeping pattern can experience sudden disturbances. After adivorce, you might experience sleepless nights. As experts suggests, the insomnia caused post your divorce is actually “secondary insomnia” as it is based upon a significant life event and they also add, if not taken care at the right time, this secondary insomnia can aggravate turning into a prolonged condition. You must talk to your doctor if you experience sleeplessness. Break ups are heart breaking always and divorce can be way more brutal. There are researches that show that risk of heart conditions by 20 percent. It can affect both the sides, men and women but the impact is stronger in women as a data suggests. It is a grieving period for both the people and grieving people often tend to turn toward food. Yes, few researches suggest that during grieving period, food can be very comforting. It is a common perception that food can help you to get over tough times. The most common health disorder that people face is mood disorders. There could be different levels and grades of mood disorders. Divorce often leads to stress and even depression. Men suffer increased level of stress because of the trauma while women suffer hormonal imbalance that regulates mood.